Finally... Faithful Fiction that Reveals the Kingdom of God! Introducing Bell Mountain, by Lee Duigon, the first novel from Chalcedon’s new label, Storehouse Press! 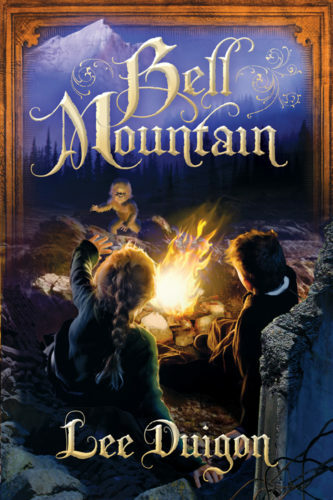 The world is going to end … as soon as Jack and Ellayne ring the bell on top of Bell Mountain. No one has ever climbed the mountain, and no one has ever seen the bell. But the children have a divine calling to carry out the mission, and it sweeps them into high adventure. For the world is already changing, and fast: legends come to life, strange beasts emerge from the forest, bandits and slave traders hunt the helpless, and war rumbles on the borderlands. The children must make their way through all these perils—not knowing that a professional killer has been sent to stop them. For there are others who know the secret of the bell … a terrible secret, only hinted at in the sacred writings. But do they understand God’s plan any better than the children? The world has been shaken to its foundations before. Will this be the final shaking?